It’s official. Wegmans is coming to Boston-proper. I cannot contain my excitement. 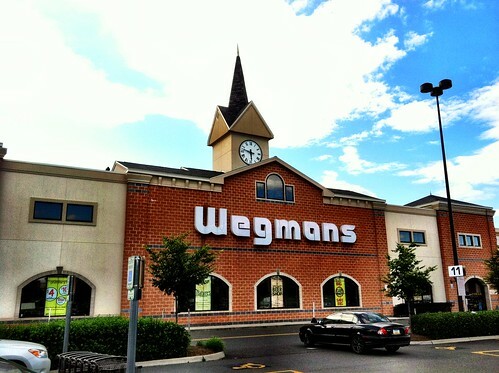 I was ecstatic when Wegmans opened its first Mass. store in Northborough in 2011 — and believe me, this store is worth the journey — and more excited when plans for a Chestnut Hill store were confirmed, but a Wegmans IN Boston?! This makes my life here just about complete. Now my life has come full-circle and my favorite grocery store/food heaven has come to me. It just can’t open soon enough. For those of you that have never experienced Wegmans and do not understand my seemingly irrational love for a supermarket, do yourself a favor and make a pilgrimage to Northborough to experience the glory of Wegmans firsthand. Then you’ll be just as excited as I am. This entry was posted in Uncategorized by Lauren Dibble. Bookmark the permalink. Lauren is not a Boston native, but has called Beantown home for the past seven years. She still pronounces her Rs, but has adopted 'wicked' into her vocabulary. Lauren is mildly obsessed with karaoke and fountain soda. She enjoys traveling, exploring the city and participating in social sports leagues. Biking is Lauren's preferred method of transportation around the city and she is starting to understand the addictive nature of triathlons. Make sure to check out why she loves Beantown.